CCleaner is an easy-to-use, safe, well-known drive cleaner with other additional features including a conservative registry cleaner, startup manager and more. Video tutorial available. 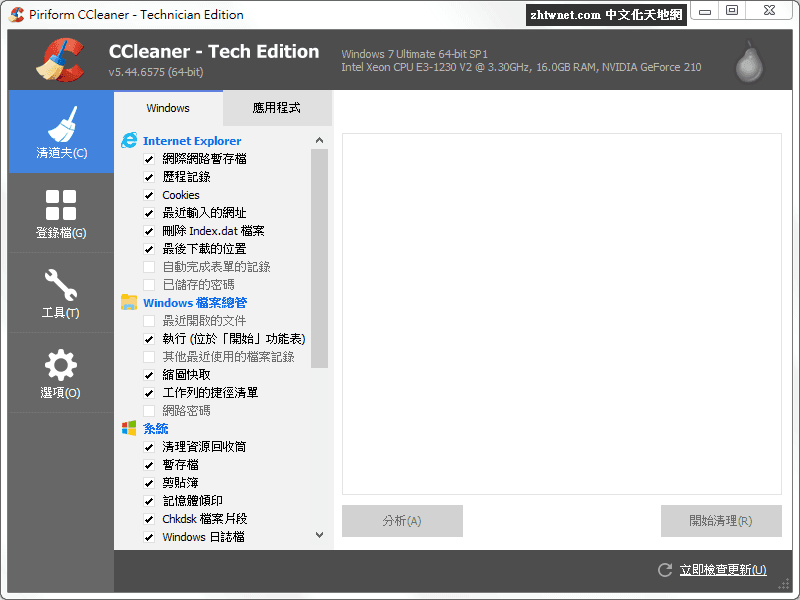 CCEnhancer can extend the cleaning capabilities of CCleaner. CCleaner uses the same, familiar three tab interface it always has with the first tab showing you the main choices including Cleaner, Registry, Tools, and Options. The second tab lets you choose any settings before you run it. The third tab shows you what is happening and what was done.